Ban Khun Mae went translated, literally means "Mum's house". I went there a couple of years back and they had left me a good impression of their Thai Food ever since. 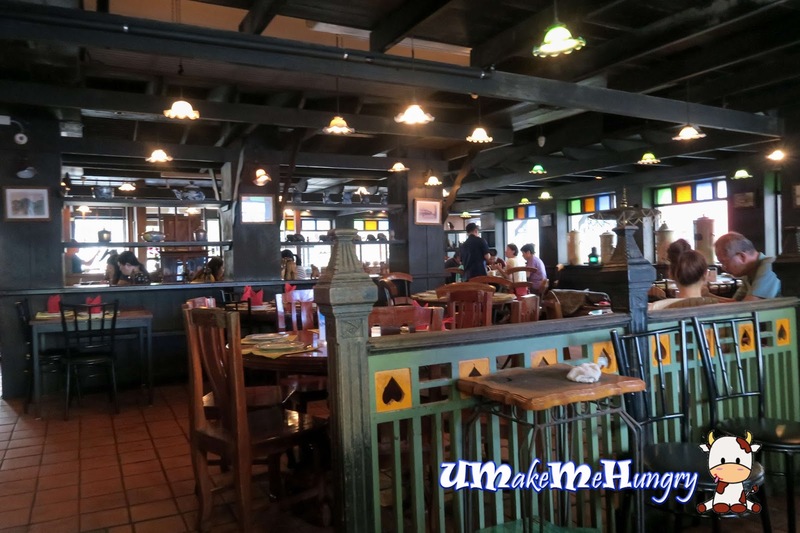 The environment was good with warm Thai hospitality which you can enjoy authentic Thai Food in the environment. Place is accessible and easy to find as they are located in Siam Square, popular streets among tourists like us. 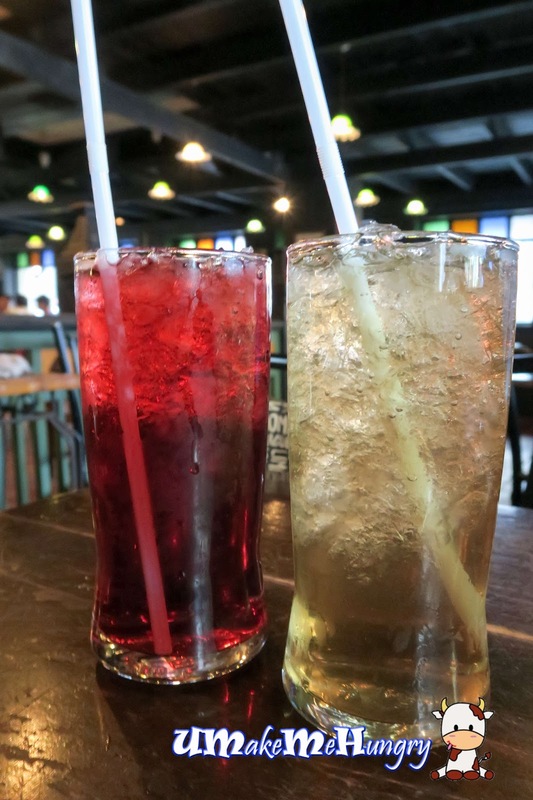 Having visited so many Thai Restaurants during my trip, it was surprising to see Roselle Juice and Lemon Grass drink in the menu. Without second thought, I immediately ordered them. 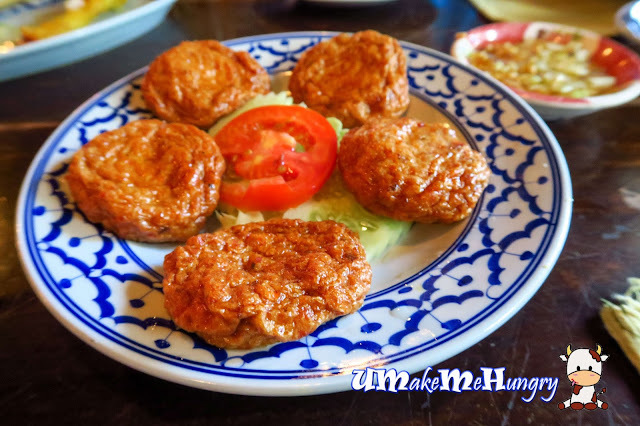 Comes in a set of 5, you can't go wrong with these deep fried Thai Fish Cakes. They were springy and yummy. Dip them into the sweet sauce to enjoy the bites. The boyfriend prefers chicken thigh meat to chicken breast as texture was quite tough. 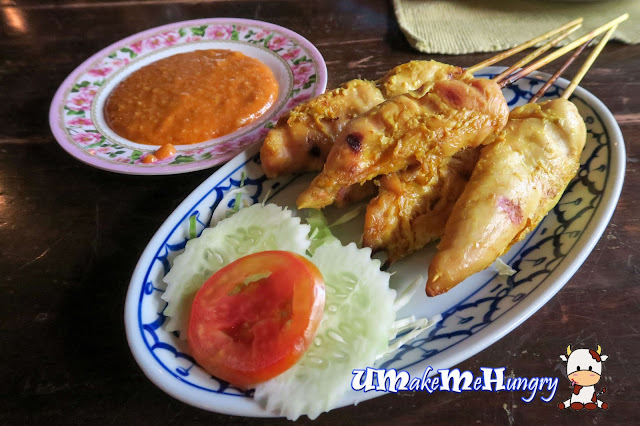 As for me, the style of though chicken satay is totally different from what we had in Singapore. I find it quite healthy without being too oily and there are no pork lards in between the meat stick. Gravy on the other hand was on a sweet side and of course style was different too with hint of coconut cream taste. 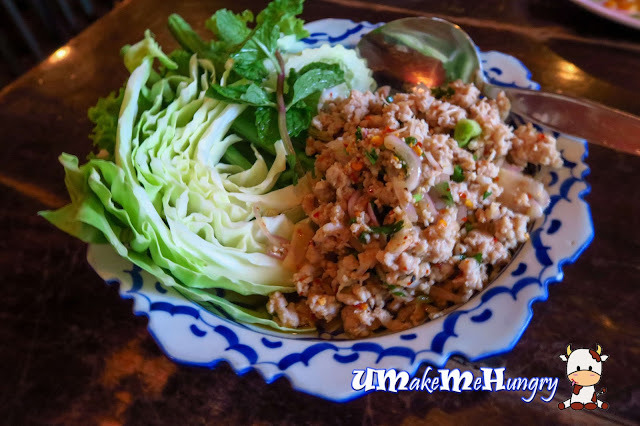 While I'm craving for "Larb Moo" (Minced Pork Salad), we ordered something not shown on the menu. The size of pineapple rice shocked us totally as we did not expect it to serve in a small pineapple but it was good for us as we were really very full during then. We were very pleased with the pineapple fried rice as compared to the one we had in Thailand in the previous day. Ingredients such as pineapple cubes were sweet. 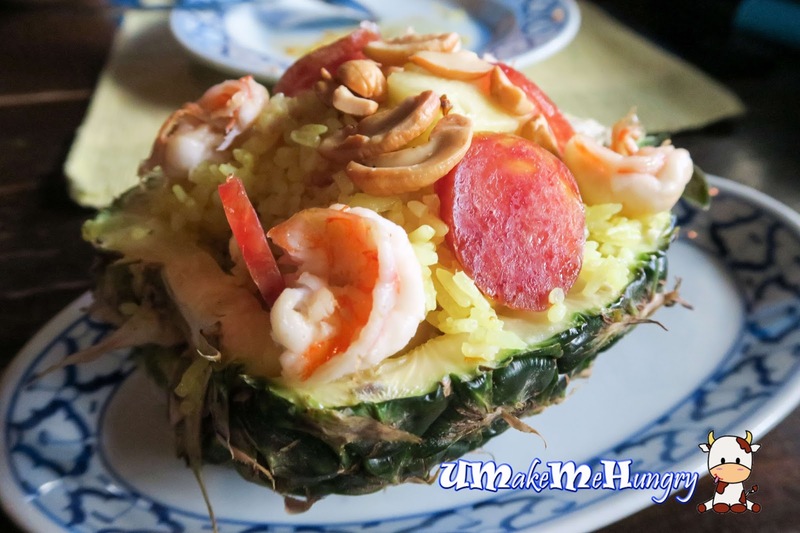 Prawns, cashew nuts, Chinese sausage were part of the dish too. I won't hesitate to recommend Ban Khun Mae to anyone who is travelling to Bangkok.